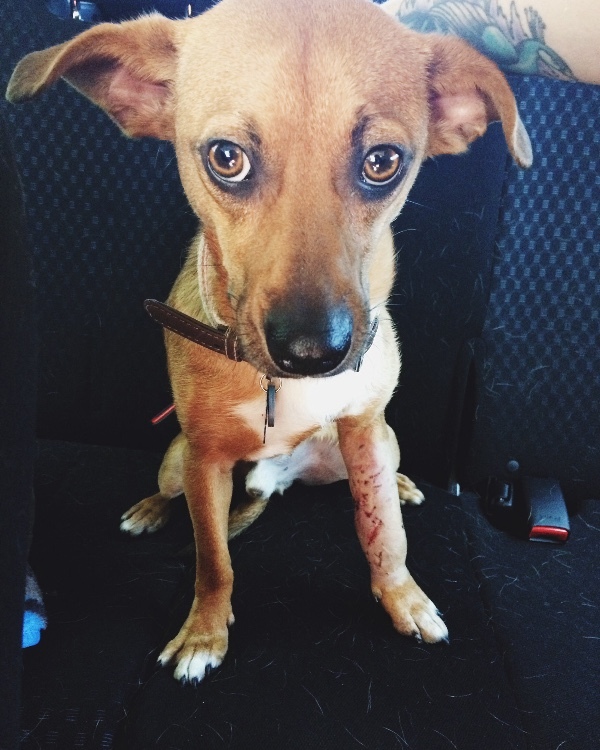 "I adopted Dobby on Christmas this past year. He was severely abused prior to his adoption, and deals with extreme anxiety. It's been very difficult getting him accustomed to a normal and safe environment. Last night he was attacked by a PIT BULL in our neighborhood. I spent all night with him at the emergency vet. He was sedated and had to have all of his lacerations stitched. He also has a broken bone in his arm. They're unable to properly splint and contain the broken bone due to his open wounds and the severity of the bite wounds. The costs thus far have been $1,000 and he has more treatment needed in the coming weeks. Any additional will be for his rehabilitation. He has to be seen again by a vet within 24 hours to have his bandage removed and replaced. The vet will then decide how often it needs to be replaced moving forward, but it has to be conducted at the vet. He will also need follow ups to have his stitches removed and will need to be treated for rabies, as we don't know the vaccination status of the dog that attacked him. I'm unable to make rent next month, or pay my car payment at this point, due to these unexpected expenses, and his journey of recovery is still unclear. I need to make sure that he is taken care of, as he has already been through so much. I can't see him in anymore pain. These fees are only to cover the vet bills. We can't put a price on a life, and I'm so thankful to still have him with me. I hope with a lot of love and the treatment of a good vet he can make a full recovery."